M D Air Services was founded (and is still being run) by M T Davies. After studying at Harper Adams College of Agriculture, and a period of time engaged in various aspects of agriculture (including a few years in the agro-chemical industry), M.T. 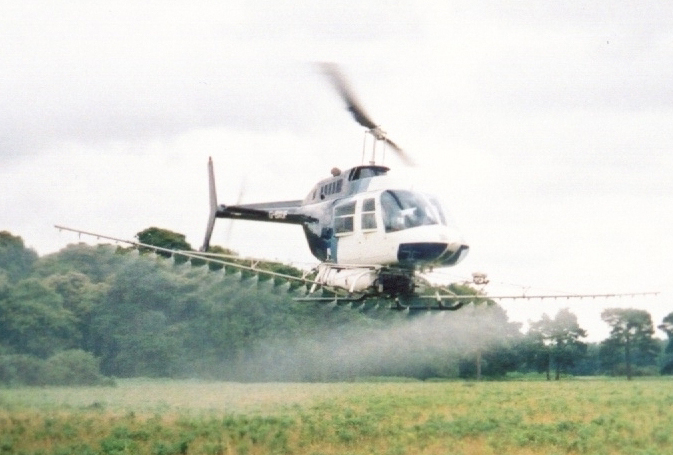 Davies gained his PPL for fixed-wing aircraft (1975) and for helicopters in 1976; he then started an aerial crop spraying business in the name of Davies Aerial Applications (1977). Helicopters were chosen in preference to fixed wing aeroplanes because they were more suited to agricultural work in the UK. 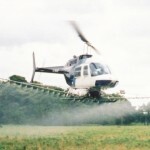 The helicopters’ agility and versatility means it can be flown more precisely, and at a more consistent (and lower) height across any foliage canopy, the spray droplets therefore penetrating more deeply, with less drift. After a period of instability in what was then a somewhat volatile marketplace, the business was re-structured and became known as M D Air Services (1982) and has remained so ever since. This probably makes us the longest established and most experienced of all the remaining aerial applications operators in the UK.